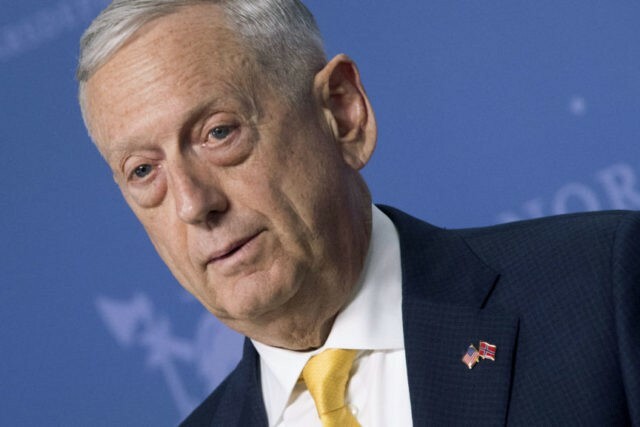 Although he has previously been described as skeptical of President Donald Trump’s plan to create a “Space Force” branch of the U.S. Military, Secretary of Defense Jim Mattis said on Sunday that he supports the proposal. “I was not against setting up a Space Force. What I was against is rushing to do that before we define those problems,” he told reporters on Sunday. The Washington Examiner asserted on Monday that support for the Space Force from Mattis and top Pentagon officials is still lukewarm at best and “illusory” at worst. Although most planners are “in favor of war-fighting capability organized along the lines of what the president laid out,” as Mattis put it on Sunday, they worry about adding layers of bureaucracy and doubt the relatively small number of uniformed personnel working on space operations justifies creating an additional branch of the service.